Beginnings are hard. Sometimes more so than the end of a story, or even the middle. When I write, I start from the middle and work my way towards the end and then come back and write the beginning. Then, after I read from beginning to end, I rewrite the beginning again. There are a lot of things you have to do as a writer to hook the reader. As an editor, I find myself making a lot of decisions on the first chapter. 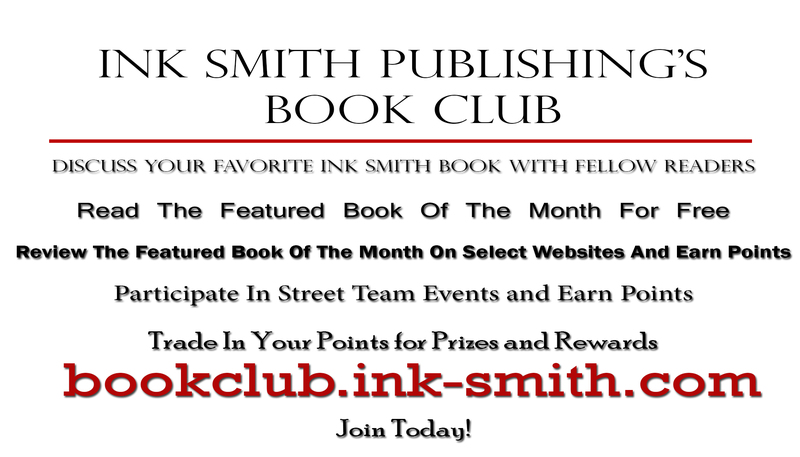 Our guidelines for Ink Smith Publishing submissions require that not only do writers need to submit their cover letter and synopsis of their book, but the first three chapters as well. Once we get past the cover letter and synopsis and we like the ideas you’ve presented, everything weighs on those three chapters. As an editor, here are a few things that I think might be helpful to you as you write and rewrite your own beginnings. Don’t be afraid to enter late. What does this mean? It means start the story in some action. Draw the reader in with some intriguing information, a battle scene, a funeral, the punchline of a joke. Something that makes us wonder how we got to this point and where we’re going. That isn’t to say start in the middle of your story and keep writing; it means start in the middle of a minor conflict that will help catapult us into the major conflict of your story. But make sure it rings true to the rest of the tale! Don’t spend an exorbitant amount of space describing the scene. Scenery, mood, descriptions are all important, we all know that. But if you’re developing a new world, making new rules for the existing one we live in today – let the reader experience the description along with the story. Chunking description together blocks the reader from being able to immediately connect with a character (whether they hate or love the character). It allows them a slow entrance into the “world” but a strong enough entrance that we establish the main issues going on. Careful with dream scenes. Occasionally, writers start with the dream sequence. They put the reader in danger, seeing ghosts, even attacking someone. And then they wake up. There are exceptions to every rule – but for the most part, try and avoid this overly cliche way to begin a story. It can mislead the reader in a negative way. Prologues are not always needed. Prologues are useful in a lot of ways. But if you are starting your story off with a prologue than keep this in mind: don’t use it as an information dump. When I’m writing my first draft, everything I write down seems crucial to the story. Then when I go back and re-read a section I find that there are blocks of text that are just paragraph upon paragraph of information. Most of which the reader doesn’t even need. It was almost like a small little place where I was brainstorming and over detailing every single moment. So write your prologue. But when you finish the book, go back and read the prologue again. Does it seem absolutely necessary? If the answer is no, take it out. Start with a character that is important. I’ve read proposals where the “main character” is compelling, or at least the character they show me right away in great detail. The character makes me want to read more and then as we continue on into further chapters (maybe two or three) the character is revealed to be someone who isn’t important at all and our focus shifts completely away from the character I liked to begin with. Why waste all those pages letting me see into this character, drawing me in to their world and then remove them? Death should matter. Or not matter, but make it mean something. Do not kill someone off for the mere shock factor in the first chapter of your book. Make sure the death means something, either acting as a catalyst for the rest of the book to follow, or perhaps as a hardship that the main character will have to face. Mr. Martin is the exception for the topic of death (in my opinion!). There are exceptions to all these, not every technique works for every author. And there may be authors that do exactly what I say you should avoid and do it so well that it works. Rules are made to be broken – but these are not rules. These are guidelines. Ultimately your beginnings are yours to mold as you will, but reflect back on some books you’ve read in the genre you are writing in. What kind of things do you see utilized over and over again? Stand out and try something different – but make that difference matter. 2016 has arrived and we’ve all written down, made mental note or decided that this year will be different. We each decided what we will do differently, how we will change for the better, or how we will continue with our established success. What ever your resolution is, we at Ink Smith Publishing and Native Ink Press wish you the best in your endeavor. Our resolution is to become better connected with our authors, readers and new writers. We are hoping to be able to address some topics that new, and existing writers, struggle with or have questions about. We also want to introduce you to our authors by giving them the opportunity to share their stories, poems, advice and tidbits about the writing world with you. We hope that you will join us in discovering new topics, encountering new obstacles and enjoying the adventure. Be sure to follow us and send us your questions!